Here is the last part of my husband David’s story about his retreat from heart disease and pre-diabetic condition. He used a plant-based diet regain his health. I was fat. My belly was distended and my body fat index was over thirty so I qualified. I was more than fifty pounds overweight. My blood sugar was over one hundred and at one point above one hundred and fifty. My triglycerides were also higher than they should be in a healthy human being. My doctor told me that I was definitely in the pre-diabetic class. He warned if I didn’t change my diet and lose weight I would be a full-blown type 2 diabetic within 2-3 years. Plant based eating is becoming almost mainstream! Subway is offering vegan sandwiches in the South (Virginia and Maryland). The news made me remember a trip to the Southern US thirty years ago. My most vivid memory of the trip is that I almost starved to death! Beans, Beans the Musical Fruit. . . Here is a fun factoid: the average person passes gas from 14-23 times per day. But seriously, it doesn’t matter if you call it flatulence, farts or gas – it is embarrassing and uncomfortable. New vegetarians and vegans complain about inordinate amounts of gas. Which, makes sense when you think about it. All of a sudden the body is flooded with large amounts of fiber; particularly things like beans, cabbage, kale and asparagus. Nailing down the exact cause gets a little tricky because what causes gas in one person may not cause it in someone else. No matter what specifically causes it, the mechanism is the same. The intestinal tract is inundated with foods that do not digest easily and the result is gas. The enzymes and bacteria needed to digest and absorb certain carbohydrates are either in short supply, out of balance or entirely absent. The result is gas: belching, farting, bloating, abdominal discomfort and sometimes real pain. A big favorite in our household is Cajun Red Beans and Rice. Traditionally cooked on Monday which was laundry day because cooking beans the traditional way is an all day (and sometimes close to two) process. Taking the time is almost worth it since the pot of beans is to die for! Toaster oven – a multipurpose device for warming up food, toasting bread and quick heating instead of a microwave. It is great in the summer for baking something small and not having to turn on the hot old oven! Crockpot– Year round convenience. It is wonderful for soups, sauces and casseroles. Start a meal and walk way. I use it instead of the oven or stove top in the summer. 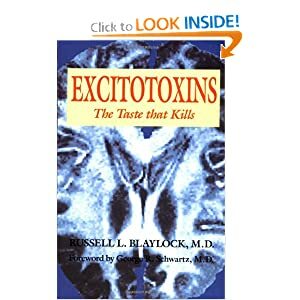 Do You Know about Excitotoxins? Four years ago David developed a gluten allergy. That began a series of radical changes in our diet. But there were more to come! Two years ago he started having a series of “weird” problems. He was not diabetic or even pre-diabetic but he clearly had a blood sugar problem! On any given day his blood sugar spiked and dropped for no apparent reason. He was alternatively shaky and moody. And eating seemed to make the problem worse. My favorite part of gardening is watching the seeds sprout and poke up through the ground. My second favorite part is harvesting the food. Third, is eating it. It is immensely gratifying to actually see the results of all your hard work. Watering, weeding, keeping after pests and fungi is hard work. 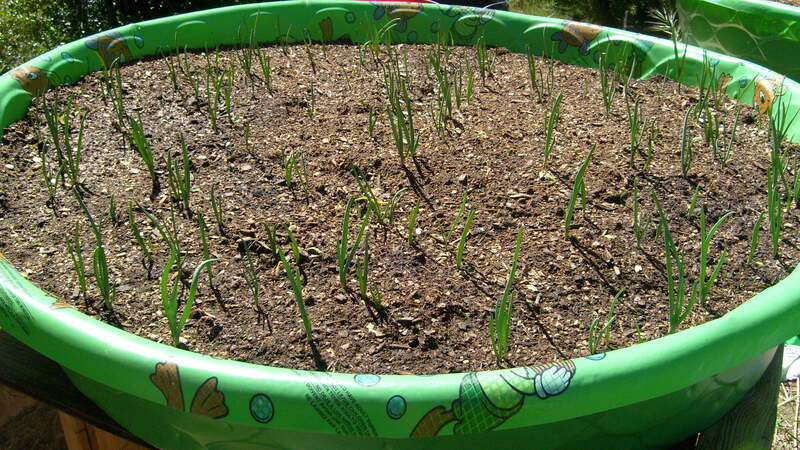 Never mind the transplanting and soil prep. It’s definitely work! But there are so few things in life where you can actually see, taste and experience such tangible and direct results. Harvesting means menu planning. Now, in the winter menus are usually about the finished product – casseroles, soups, stews and meatless meatloaves. In the summer it is about making sure I have cooked rice and beans in the fridge, nuts in the pantry and a few things in the freezer. Vegetarian Diet? Vegan Diet? Plant-Based Diet? Over the last year as we changed how we ate, my dilemma has been what to call the “diet” we eat. Did you know that almost 105 million people in the United States are either diabetic or prediabetic? When A Plan Starts to Come Together! Planting a garden is a small act in creating a long term plan. You plant seeds, water, watch and wait. And then one day you see a little shoot of green poking up the dirt. This is my very favorite part or gardening!